Nurturing Wisdom is a tutoring company in Chicago and San Francisco. As a company, they want to highlight their friendly and customized approach to one-on-one tutoring. Efficiency is key. The original website was over 134 pages and not mobile friendly. 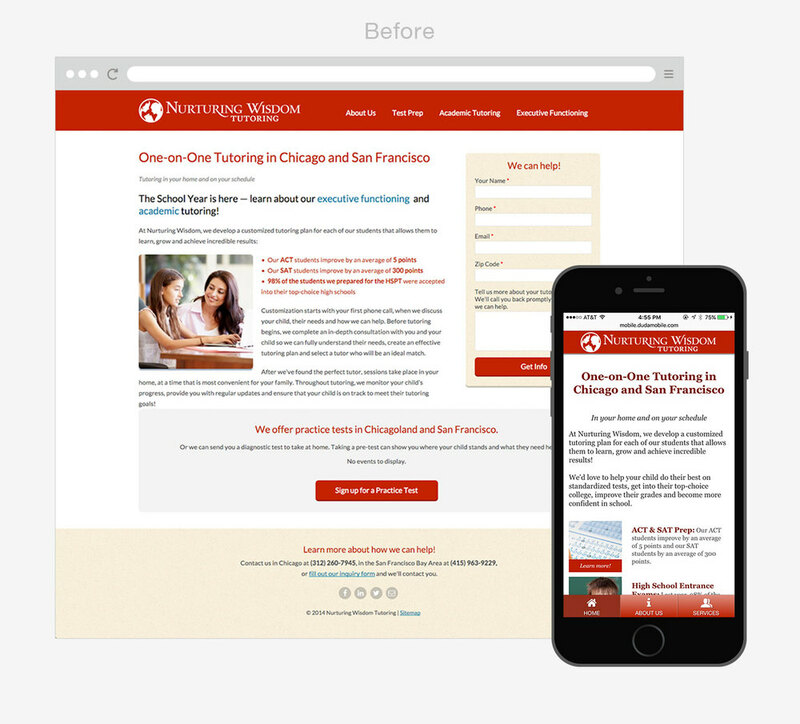 With the help of the Nurturing Wisdom team, we determined the most important content and restructured for a streamlined user experience on the web and mobile. I worked with a developer, Jed Benoit, to bring the site to life. The website needed to feel fresh and friendly. I softened the red and introduced blue and slate black to add hierarchy and contrast. Based off the needs of Nurturing Wisdom, the sitemap shows the large amount of the information we handled.